Growing bell, sweet, and chilli peppers is not the easiest but it is very rewarding and can become something of a hobby in it's own right, with some people devoting hundreds of hours of time cultivating and growing a vast range of different varieties. There are hundreds of varieties to choose from with an amazing selection of chilli peppers ranging from mild flavours to strengths of heat that can blow your socks off. Whichever type you choose to grow, you will be rewarded with a glorious addition of colours and flavours to your meals. Peppers are very versatile. They can be cooked or eaten raw, roasted, baked, fried, steamed, used to add interest to receipes or be the main ingredient themselves and with Chillies providing exciting flavours to otherwise bland foods. Unlike many vegetables that can be grown outside in cooler climates, peppers really do thrive better in hotter conditions. This doesn't mean being unable to grow them if you don't live in a climate hot enough for them to grow as a perennial, growing undercover or placing them outside if the weather is hot enough will be enough to grow these as an annual. The plants will be unlikely to bear any ripened fruit if they don't get enough warmth and light so give this careful consideration if you are not sure about the growing conditions. It could be very frustrating spending months caring for plants that won't bear any edible fruit. Six hours of direct sunlight should be a minimum to having a successful crop. If you are severely limited with space the chilli option is probably better suited. It's possible to grow a good number of the small chilli plants on a suitable windowsill that gets a good amount of sunlight, just remember to keep rotating the pots so all sides get even sun exposure to ensure a balanced growth. The plants can suffer if the weather gets too hot, resulting in wilting and scorched plants. If this happens move them to a more sheltered position until the temperature drops a bit. 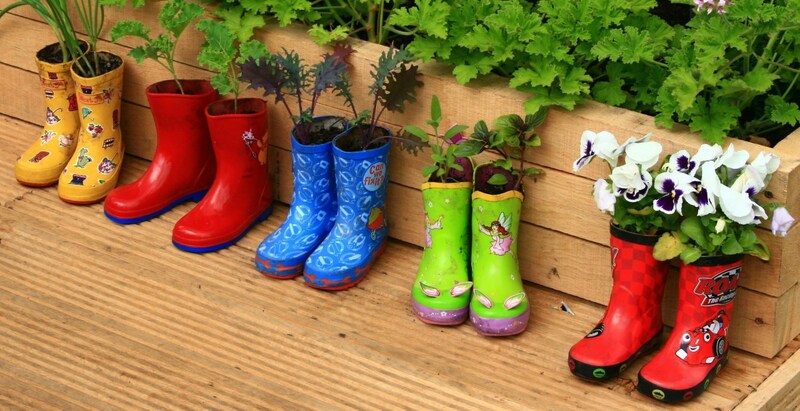 To start your plants off sow seeds into small pots and place in a warm place indoors. You should aim to have them a decent size to pot out after about three months, and if going outside, this should coincide with the risk of frosts having past. It's worth harding off the plants first, putting them outside during the day and bringing them inside at night for a week or two. Select the stronger plants and re pot them into pots at least 20cm deep, though the smaller chilli plants will be happy in smaller homes. Make sure the compost is new and full of nutrients as peppers are hungry plants. They will also do well in tomato grow bags, three to a bag. 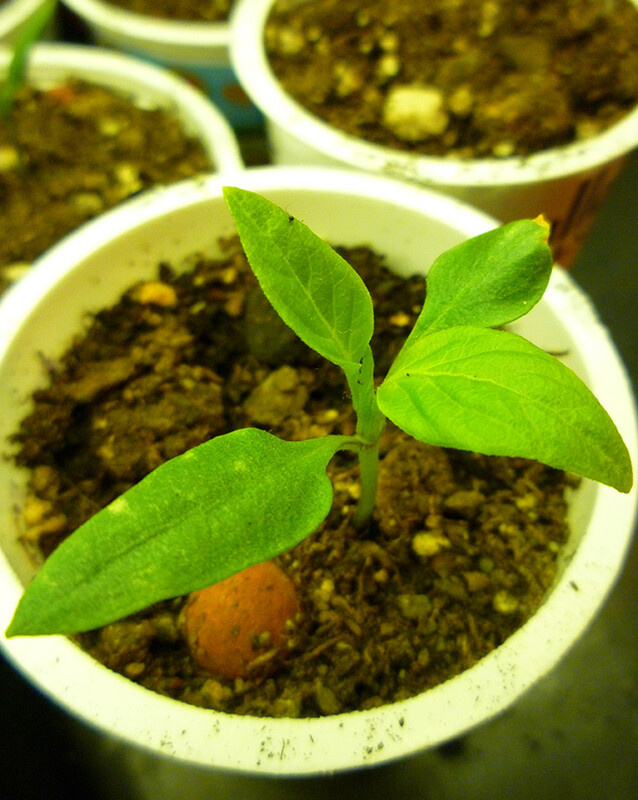 Peppers don't appreciate root disturbance, so keep this to a minimum when re potting. Pinching off the growing tip will help to create more bushiness in the plant but may cause a delay in the cropping. Pinching out the sideshoots on chilli plants can stimulate a larger supply of smaller chillies. Mezzetta Deli Sliced Sweet Bell Pepper Sandwich Strip, 16 Ounce - 6 per case. Peppers are thirsty plants and will suffer if left to dry out. The exception to this is the chillies. It is possible to increase the fiery taste by 'treating them mean' and allowing them to dry out a bit between watering. Otherwise, water regularly and thoroughly to ensure the roots push to the depths of the pot and make for a stronger, healthier plant. Frequent, shallow watering will cause the roots to stay near the surface which weakens the plant and makes it more susceptible to pests and disease. Mulching the top of the pots will help to retain moisture between watering, but as this can make it harder to see if the compost is dry, a finger pushed through the mulch and into the compost will give an idea to if watering is required. Mulching with bark or shingle can also make the pot more attractive which is of benefit if on display indoors or on display near the house. As long as a good quality compost is used the plants won't need any additional feeding until they have started flowering. Once the flowers appear, feed once a fortnight with a potassium rich feed. Tomato feed is ideal, and if you want to grow organically, there are now organic feeds now available. 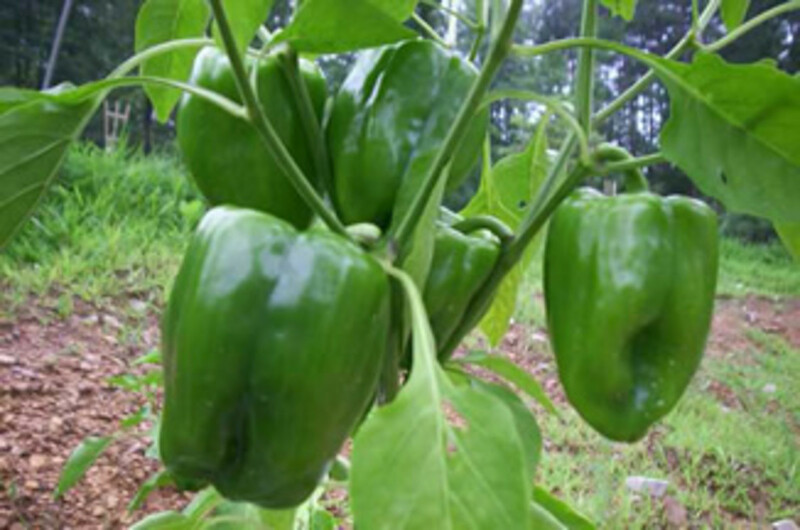 Peppers suffer from white fly, aphids, and damage from caterpillars. The organic approach is to keep the plant as healthy as possible to make it less susceptible to the effects of an attack, remove offending pests by hand, and spray with a soap and water solution. Although the plants look attractive bearing their brightly coloured fruit, it's better to pick them as soon as they are ready. This will help new fruit to grow and extend the productivity of each plant. Growing your own vegetables can be a rewarding and enjoyable past-time in addition to providing yourself with the freshest tastiest foods at very minimal cost. Even if space is limited it is still possible to grow your own onions. There can be nothing better than picking fresh cherries from your very own trees. 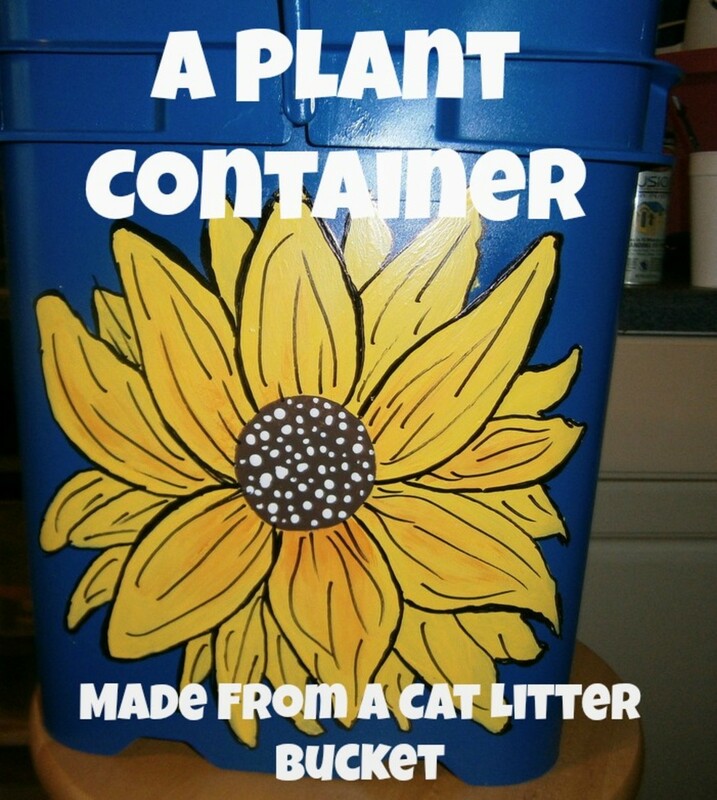 But what if you only have a very small garden or just a small patio or back yard. Can you still have your own cheery trees? Well, yes you can! Another great thing about growing chilies in pots is they are beautiful and decorative as well as useful for food. Mine were just beautiful with red and green peppers at Christmas time last year. I tied a couple of bows on the plants, put them in a pretty basket and sat them on the table for my table decorations. I'm going to try growing chillis indoor when the weather turns cooler - thanks for the useful information! 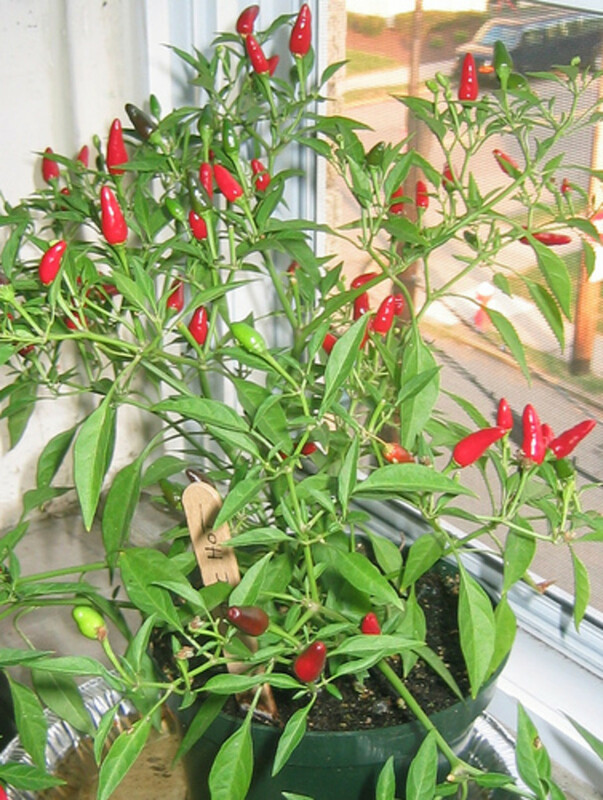 The summer here has been too wet, and not warm enough for my chilli peppers to thrive outside. Very useful information; I will have to plan to do this next year as summer where I live is very hot and 95% sunny. I really loved you pest control solution; easy and cheap. Great hub; will have save this for next year!